There is a price on our little boys life and we can’t afford it. This huge amount is only achievable with everyone’s help. Together we can give him the chance of a first day of school, riding a bike without stabilisers, falling in love, getting married, travelling, just growing up. The UK panel of doctors have stated that Zac does not meet the criteria in the UK for the CAR-T trail and that he must relapse before he is eligible. 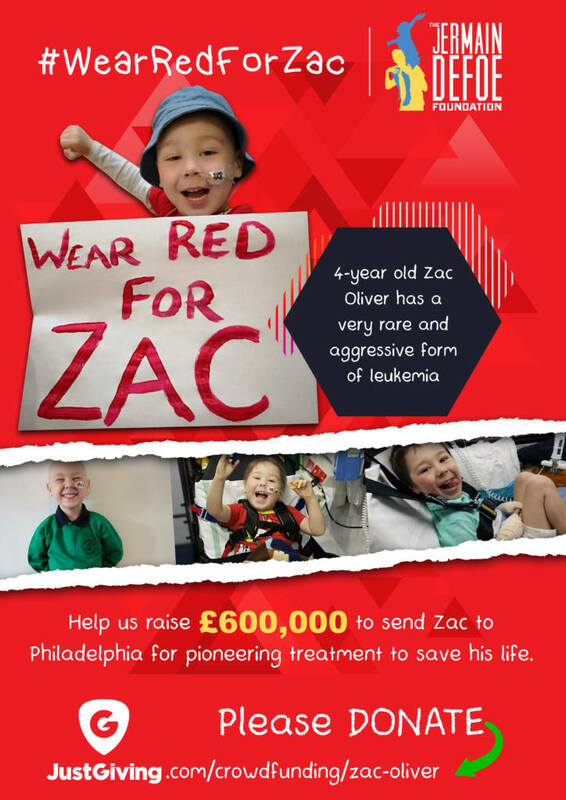 All research states that children with Zac’s diagnosis and positive MRD mostly die due to relapse. We know he will relapse because of his poor cytogenetics. We will not watch him die. We will not wait for his little body to become weak from all the toxic chemotherapy before giving our little boy what could be life saving treatment. Philadelphia Children’s hospital have already offered to help with the therapy. While they have offered to help with some costs there are some costs they can not cover, (standard healthcare costs, living and travel costs also) this is not going to be an overnight fix it will be months if not years of treatment.